Describe aluminum anodizing and explain the differences between types of anodizing processes. List the advantages and disadvantages of coil and batch anodized aluminum. Summarize the advantages of coil anodized aluminum compared with other metals and coatings. Identify applications that use coil anodized aluminum products for architectural interior and exterior uses. 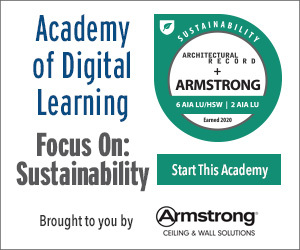 Discuss the sustainable and environmental characteristics of anodized aluminum. Nearly a century ago, aluminum revolutionized the world of metals. Since then, coil anodizing technology has allowed remarkable architectural possibilities of designs, textures, and finishes that are functional, versatile, and environmentally responsible. Anodized aluminum can be roll-formed, stamped, laser engraved, laminated, perforated, welded, embossed, and silk-screened. Moreover, recent breakthroughs in coloring techniques provide a range of colors rivaling those of paint. Among the many applications of anodized aluminum are architectural exteriors, interiors, paneling, roofing, windows, doors, ceilings, and lighting. Anodizing is an electrochemical conversion process, not an applied coating. The procedure of anodizing aluminum is a very technical and artistic process involving an electrically charged solution that works with the natural components of the aluminum substrate. The surface of the aluminum metal is converted to aluminum oxide as a result of reactions occurring at the anode in an acid solution. The process is called “anodizing” because the sheet or part to be treated forms the anode electrode of an electrical circuit. The thickness and properties of the anodic layer will vary with the aluminum alloy, specific anodizing process employed, and electrical current cycle time (ampere-hours). Anodizing increases corrosion resistance, protects the surface of the aluminum from further oxidization, creates a very hard and durable protective layer, and provides better adhesion for paint primers and glues than bare aluminum. Anodized aluminum can also be used for a number of cosmetic effects because the thick porous oxide layer can absorb dyes, creating an infinite number of colors. While aluminum anodizing remains the same for all applications, there are two processing methods: batch anodizing of fabricated parts and continuous anodizing of aluminum coils. 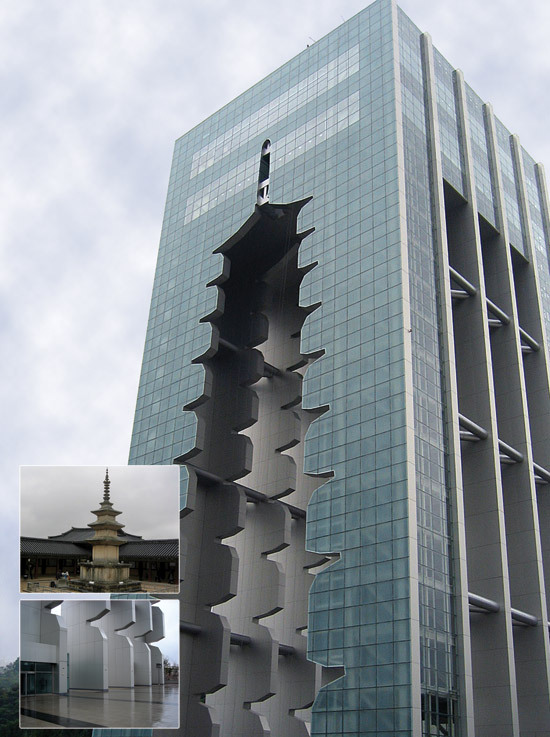 Anodized aluminum cut-out honeycomb panels in the Gyeongju Tower in Gyeongju, South Korea, echo the legendary Hwangnyongsa Temple’s wooden pagoda.